SKU: 705. 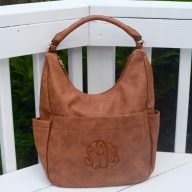 Categories: Bags, Carolina Monogram, Clutches and Purses, Designer Inspired Purses, Designer Inspired Purses, Tote Bags. Talk about style, ladies! 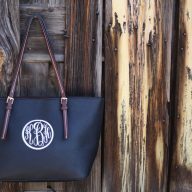 Our Belle bag has everything a girl could ever need in a purse! 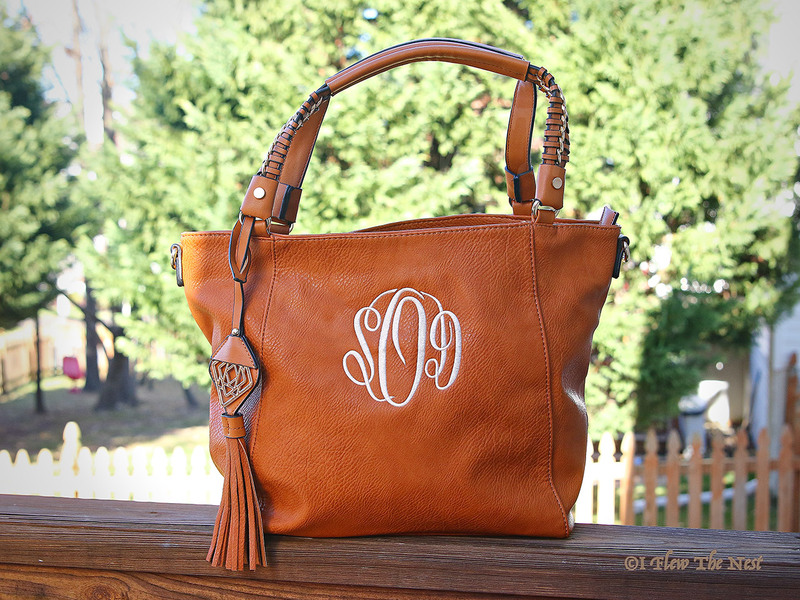 This bag is incredibly roomy yet stylish with gorgeous decorated handles, and removable Tassel. 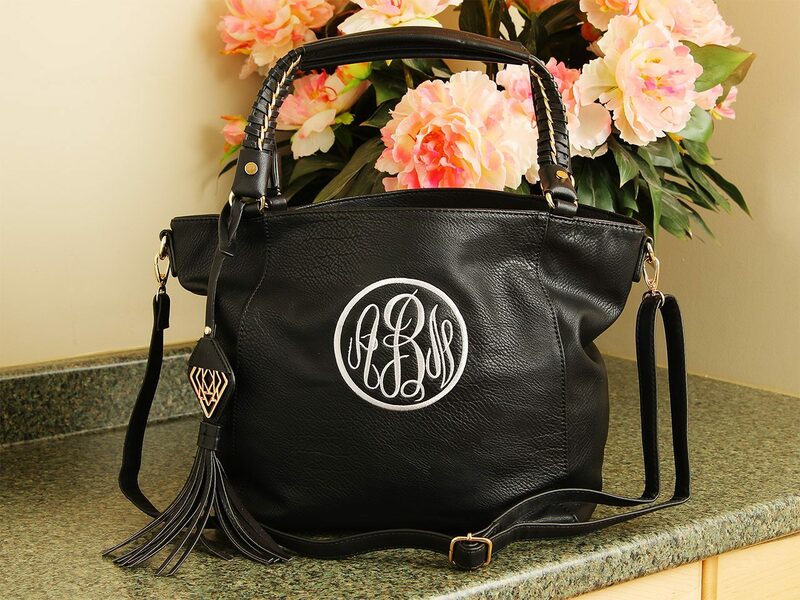 This Belle bag have two zip inside, one of them long and acting as a divider… It also has a zip pocket outside to keep your phone, keys and lip gloss! 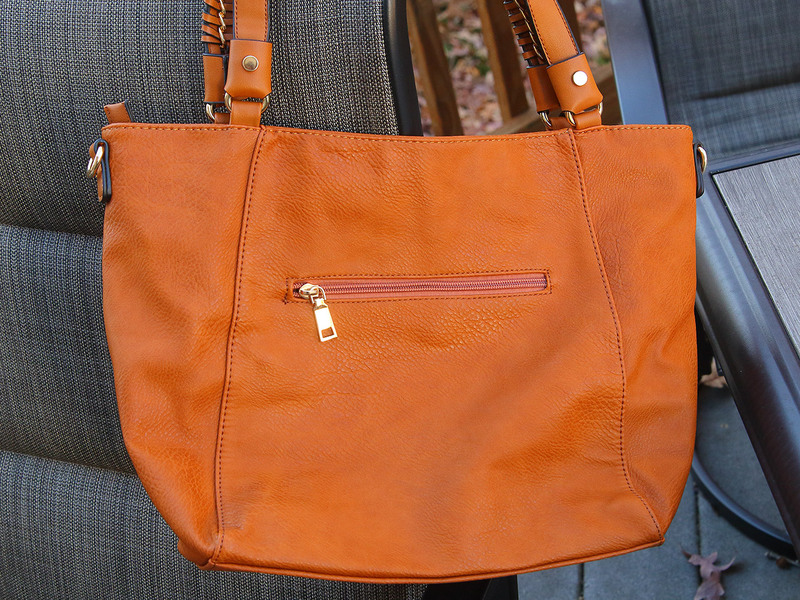 This light weight faux leather bag comes with an adjustable shoulder strap that is removable. 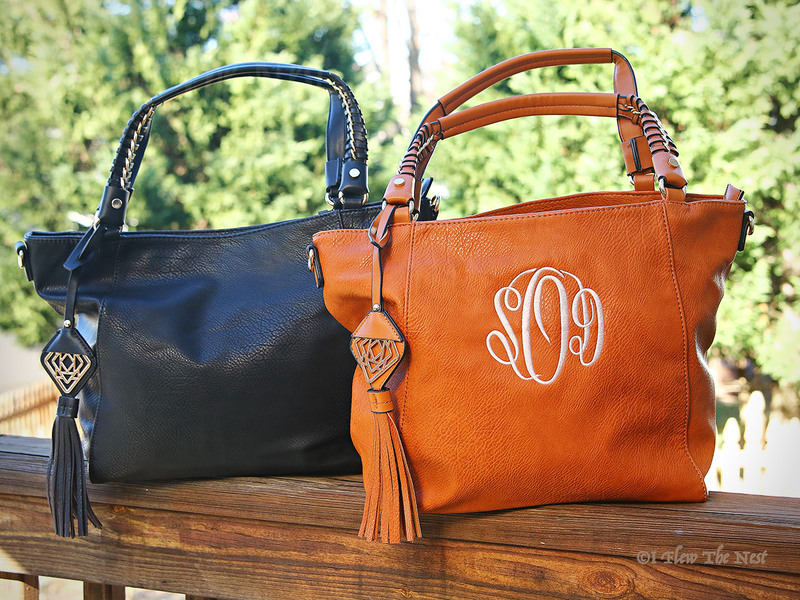 If you’re looking for the perfect large purse, look no further than the Belle bag! The purses pictured are monogrammed using Master Circle font. 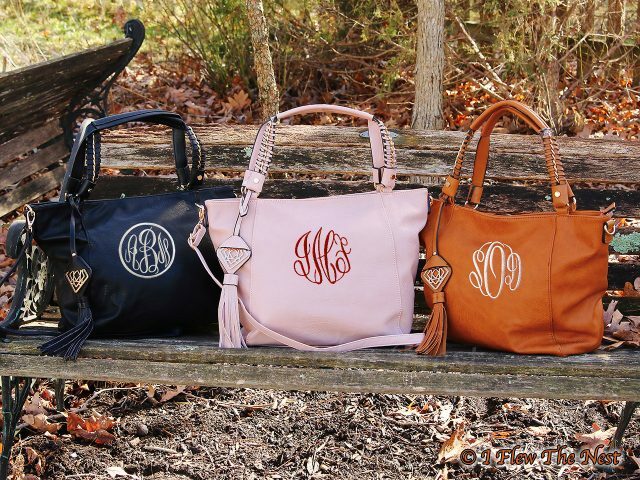 The Black color purse is monogrammed using thread color Smoke, Pink color purse is monogrammed using Crimson & Pink purse is monogrammed using Shell color thread. 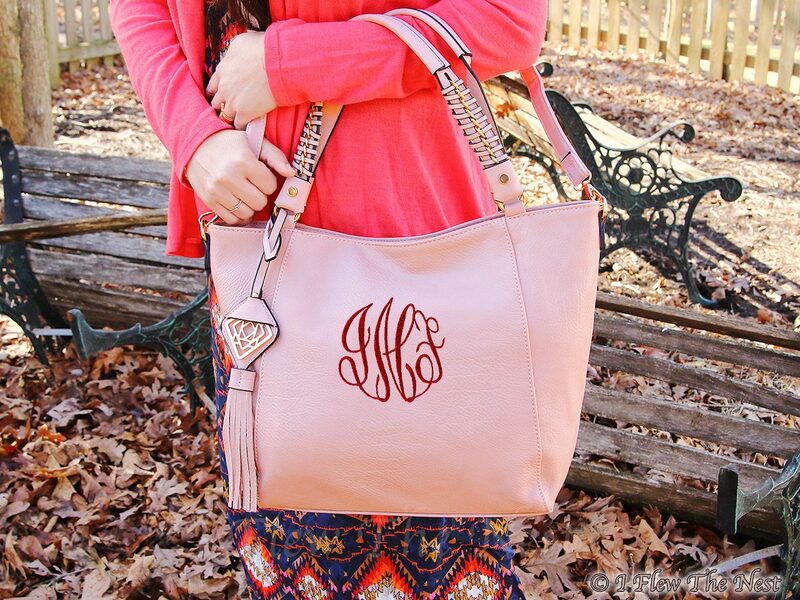 Monogram using white, or other shades of red color threads may also look good on Pink color bag. 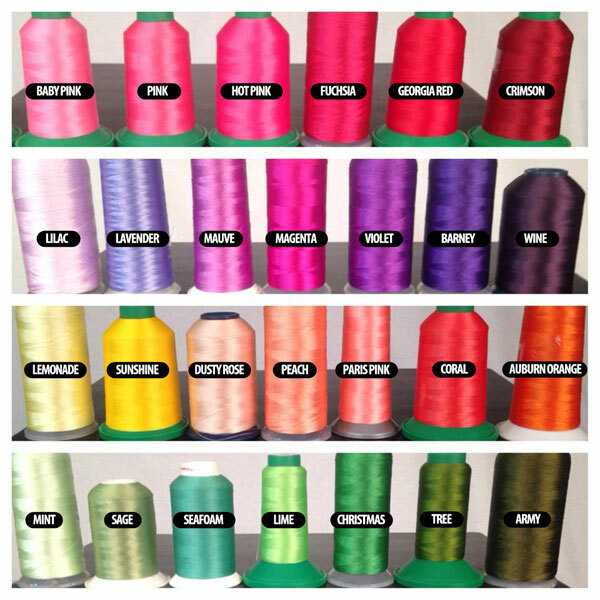 Golden, shell or pewter color thread would look fabulous on the black bag! 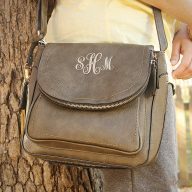 You may also chose to add a circle around your monogram. Interior Pockets: Two zip pockets, two slip pockets with a divider. 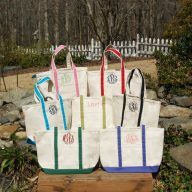 If you choose monogramming, slip pockets will be stitched over. 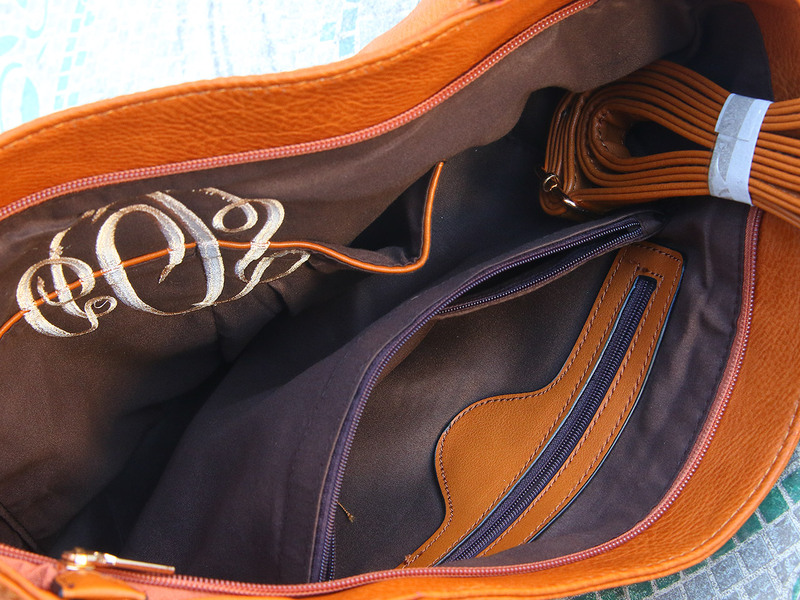 Closure: There is a zipper that closes bag.